.XYZ is a new and fast-growing TLD (Top Level Domain). A TLD is simply the part of the web address after the dot. Most people would be familiar with .com and .org. XYZ is a new and exciting addition to this group. On the 2nd June 2014, a new TLD was launched. XYZ was started to provide a fresh new option for companies and individuals looking for a web address. Even though it launched quite recently, XYZ has been making huge progress in domain registrations. Currently, there are over six million XYZ domains registered. When you consider that .com took many years to reach just one million registered addresses, XYZ is growing at a much more rapid pace. In fact, the growth is so fast that it is currently the best-selling TLD for new registrations worldwide. Among gTLDS (generic Top Level Domains not tied to any particular country), XYZ is the fourth most popular in the world, outranked only by .com, .net and .org, which have all been around for many years. The name XYZ was chosen to represent three different groups of people: Generation X, Generation Y, and Generation Z. Generation X, or GenX, are people who were born in the 1960’s and who were the first of a new group of creatives determined to change the world. Even though they might be grown up now, they are still intent on making a difference. Generation Y, also know as Millennials were the first people to grow up completely surrounded by and engaged with technology. They understand the importance of sharing their lives online and are completely comfortable with new trends. The very latest, Generation Z, have never known life without a constant internet connection. They are genuine digital natives and represent the future of online interaction. They will be the ones to create the next step in how we live our lives online. Bringing these three generations together, the XYZ domain encompasses the most creative, engaged people the world has to offer. Any company that wants to connect with this group has a chance to use an exciting new domain like XYZ to do so. XYZ got a big boost when one of the biggest companies in the world signed up to use it. Alphabet, the parent company that owns Google, went with abc.xyz when setting up their new website. This domain name is pretty clever, given that company is called Alphabet and they cover all the letters from ABC to XYZ in their web address. It’s also short and snappy and creates a good impression with users. Google choosing to use XYZ is also important because it shows that the biggest and most powerful companies in the world are beginning to turn away from .com addresses and are open to using new TLDs when it better suits their needs and those of the customer. This is a big change because most companies have been very traditional about sticking to .com but now things are changing and we will see a greater variety of domains in the future. What are the advantages of using XYZ? XYZ isn’t simply a new and eye-catching TLD, there are a number of specific advantages to using it instead of .com or other lesser-known domain extensions. Let’s take a look at some of these advantages. Since the .com TLD has been around for nearly thirty years, most of the good domains have been bought up long ago. In contrast, .xyz was launched in 2014 and there are still plenty of great web addresses available. This means if you want to get the exact name of your business, you have a much greater chance of finding it on XYZ. This will be better for your brand and your business and make your advertising more effective and targeted. Not only are you likely to be able to find your own specific business name on XYZ, you are also much more likely to get broad keyword-based domains. For example, if you sell flowers in New York, you could buy a domain that matches your business like domain-names.xyz. This will help you find customers who know what they want but not the exact name of your business. 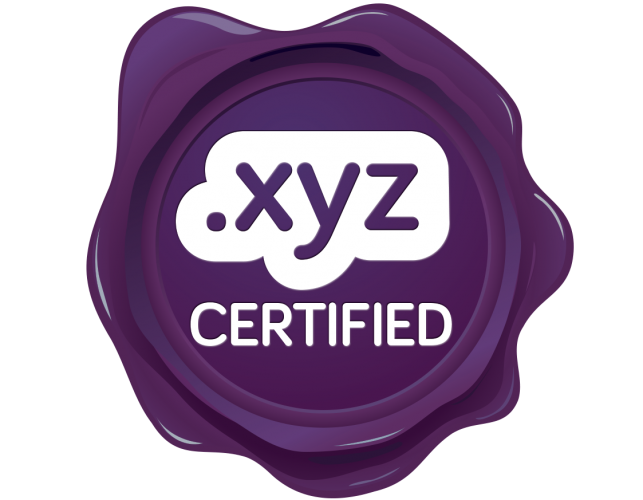 XYZ is one the most popular new TLDs. Most of the good .com domains were bought up long ago, and these domains became quite valuable over time. Since there are lots of XYZ addresses available, now is your chance to buy a good domain and hold onto it for the future. If the value goes up, you could be sitting on a nice little earner if you decide to sell it on one day! Since 2015, website traffic coming mobile phones and tablets has taken over desktop traffic. Research shows that people don’t rely on typing in web addresses on their mobile devices. Instead, they tap links in emails, look up bookmarks, find sites through social media and messages from their friends. This means that you want your web address to be easily recognisable and one that will catch their attention. An XYZ domain will help with this. Since it’s a new TLD, many domain registration companies have special offers for creating a new XYZ address. You can find deals for as little as $1 or £1 to get started. These reasonable prices are one reason for the massive growth in new XYZ registrations. There’s a good reason that XYZ is currently the best seller for people looking for brand new domains. Some customers might be confused at first by new web addresses and might accidentally type in yourwebsiteaddress.xyz.com. That won’t be a problem because this will automatically be redirected to yourwebsiteaddress.xyz. No other TLD offers this option, and it will help you customers get used to your new address very easily. Unlike many other TLDs, the company that runs XYZ has three full time employees dedicated to searching out and banning sites using XYZ domains to spread malware or phishing scams. This helps to protect the reputation of XYZ sites and means you can be confident in the long-term safety and branding of using XYZ for your company or personal website. How do I use the XYZ extension? You might be wondering how to get started using the XYZ domain extension. Here we’ll take a look at some ideas and suggestions that you can use today and start making use of one of the newest and hottest domains. If you have an idea for a small project that you want to try out, but you don’t want to commit too much time and money to yet, the XYZ TLD is perfect to set up a small site and test things out. Alternatively, you might want to set up a site for a one-off event, like a wedding or a birthday party. With a domain name for a wedding like JohnAndSarah.xyz you could have your own unique web address for special occasions, especially for giving out directions, gift lists and accommodation options. It would also make a great present for someone to have a personal website designed for them on a birthday or anniversary. Using a site like hosting.co.uk, you could get started with your XYZ domain name is easy as ABC and web hosting for a year from as little as £1. This means you can test out your business ideas and set up sites for an important event without costing too much money. Many companies have their own personal URL shorteners. This is when you take a long website address and provide a shortened link that’s easy to share. Since there are lots of domains available on the XYZ TLD, you could register a short address and have your own link service such as thename.xyz/yourlinkhere. This will present a more professional and polished image to your customers and clients. You might have your own blog or website hosted by a free service such as WordPress or Tumblr. If you want to make it your own, and stand out from the crowd, you can have your own personal domain rather than using yourwebsite.wordpress.com or yourwebsite.tumblr.com, you can register your own XYZ domain like yourwebsite.xyz and set that up to bring visitors directly to your site. It’s difficult to make your company stand out from the rest. When you are creating physical advertisements and media, such as billboards, brochures, posters, business cards and so on, why not use a more eye-catching domain? Use a unique, snappy XYZ domain and make a bigger impression on your potential customers. You have the chance to catch their attention and inspire them to visit your site. You might be having difficulty coming up with some good ideas for your new domain name. Luckily, there are lots of cool websites where you can get suggestions for good names, and they will tell you if that site is available. Go to a site like namestation.com, enter how many letters you want your domain to have, and it will generate a list of potentially available domains for you. Simple! If you want to run your own website, you will need to set up hosting. Simply sign up for a hosting package from a reputable company (like hosting.co.uk). Then point your new domain name to the hosting company and you’ll be up and running in no time. I hope this gives you a good overview of the new XYZ domain and gives you some good ideas about how you could use it for your business or personal use. It’s time to join the most exciting new TLD around!